Workout clothes can be JUST as expensive as regular clothes as I’m sure many of you have noticed. 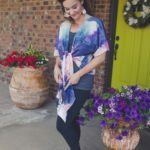 One of you asked me to help you find clothes for barre that won’t break the bank, so of course I was up for the challenge! First, let’s talk about some brands you can buy that won’t break the bank and still have good quality. Glyder – I was really impressed with their elongate legging in particular. Gap & Old Navy – Catch their athleisure clothes on sale and you can really get a steal! See below for even more! 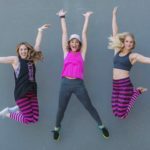 My friend Deanna from Well & Worthy Life blog, who I also met through teaching Pure Barre many moons ago is joining me today to show you how to style athleisure clothes, especially pure barre clothing at any age. You can head over to her blog to see more of our Pure Barre pics as well and if you don’t know what Pure Barre is, I’d recommend you check out THIS POST!